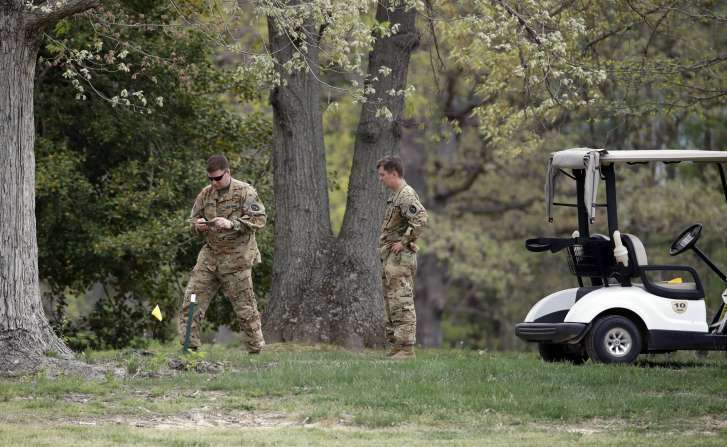 On monday April 17, a UH-60 Blackhawk military helicopter crashed at Breton Bay Golf Course in Leonardtown, Maryland, during a routine training exercise Monday; one crew member died and two others were injured, according to the US Army Military District of Washington. The causes of the incident are currently under investigation. One witness, Garrett Bowles, told CNN he thinks the helicopter hit some trees as it went down. Another helicopter was at the scene when it crashed, Bowles told CNN. Bianca Melton, a second witness, told CNN the helicopter looked like it stalled out before crashing.